A federal appeals court has lifted an injunction that was standing in the way of a casino in downtown Lansing. The Sault Ste Marie Tribe of Chippewa Indians wants to build a casino next to Lansing’s convention center. Michigan’s Attorney General asked for and got a federal court to prevent the tribe from moving ahead with its plans. The attorney general says the tribe’s casino would violate agreements between the state and Michigan’s Native American tribes. But a federal appeals court decided the lower court did not have jurisdiction and should not have issued the injunction. The decision opens the door for the tribe to ask the federal government to take the land in downtown Lansing into trust for the tribe. The Michigan Attorney General's office issued a statement saying it disagrees with the appeals court decision. "We are confident that states’ authority to stop illegal gaming on their own sovereign land will be upheld next year by the U.S. Supreme Court when it rules in Michigan v Bay Mills Indian Community." The U.S. Supreme Court heard arguments in the Bay Mills case earlier this month. The appeals court’s decision is likely not the final word in any case as more litigation is expected. Backers of a proposed casino in downtown Lansing are asking a federal appeals court to toss out a legal ruling that threatens to bring their plans to a halt. Last month a federal judge issued a preliminary injunction blocking the Sault Ste Marie Tribe of Chippewa Indians’ plans to build a $245 million casino in downtown Lansing. Michigan’s attorney general sought the injunction claiming the tribe’s plans violated federal law and a state gambling compact. Plans for a casino in downtown Lansing are in jeopardy this evening. The Sault Ste. Marie Tribe of Chippewa Indians wants to build a $245 million casino next to Lansing’s convention center. However, before the tribe could build the casino, the U.S. Department of the Interior would have to agree to take the land for the casino into trust. But Michigan Attorney General Bill Schuette filed a lawsuit trying to block the tribe's trust request. 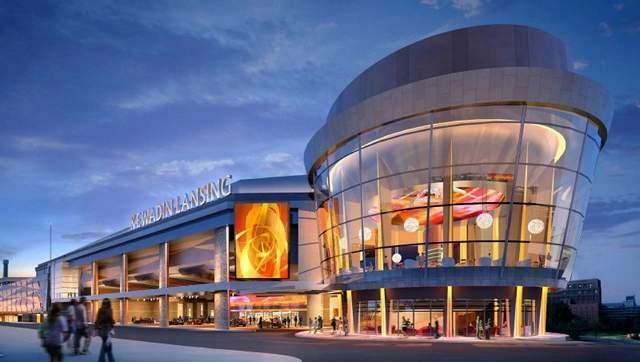 A year ago, the Sault Ste Marie Tribe of Chippewa Indians announced plans to build a casino that would wrap around Lansing’s downtown convention center. The plan included the construction of a temporary casino along Michigan Ave.